In July we visited the project team of the HLF-funded Discover DeCrypt project based in Gloucester. 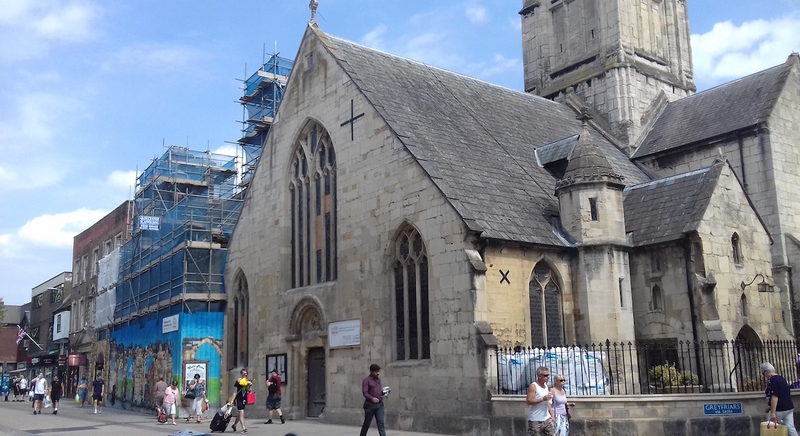 The project aims to regenerate the medieval church of St. Mary de Crypt and the adjacent Old Crypt Schoolrooms, making it a fully accessible, comfortable, versatile space. Over the next four years we will be evaluating the project, finding out who they are reaching and what the local community, volunteers and visitors think of their activities. We will also be working with the team to help them develop the tools to register how they’re doing and providing training in order for them to report effectively. As part of our evaluation research for this project, we conducted a face-to-face interview with Jessica and Jenine, the Community Engagement Officer and Project Assistant respectively. While the buildings are closed for building work, the team has been very busy making sure the project is on people’s radar. Outreach activities have included: school visits, hard hat tours, a monthly market stall slot and plenty of volunteering opportunities for people of various ages. It was interesting to hear about the team’s proposed use of the new Volunteer Makers website that will officially launch this September: the website has been developed in response to changing patterns in volunteering, allowing people to sign up to flexible opportunities that may only be, for example, five minutes of tweeting. Like many heritage initiatives, volunteers are fundamental to the success of Discover DeCrypt, especially when the buildings reopen in March 2019. As such, the team are planning a big volunteer recruitment drive in the Autumn and new year. Art and artists are underpinning much of the community engagement work that is being conducted. 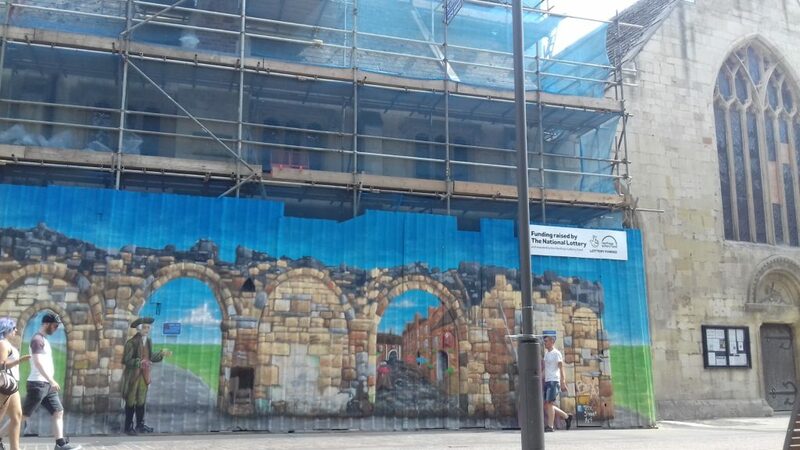 Testimony to this, a local graffiti artist and neighbouring Cafe René have painted a series of historic archways on the hoarding that is surrounding the building work, something which in itself is providing a talking point for local residents. A few unanticipated archaeological finds are keeping the team on their toes, including the discovery of an old vault under the schoolroom and passageway and a medieval drain in the schoolroom. In spite of these unplanned moments, the project is on track for its Grand Opening event on 22 March 2019. We’re really looking forward to seeing how this project develops over the coming months and wish the team all the best for what will be a very busy time for all concerned.